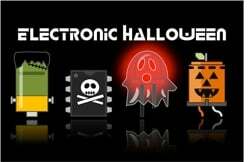 From the forums: Making a cheap Halloween mask brighter #ElectronicHalloween « Adafruit Industries – Makers, hackers, artists, designers and engineers! 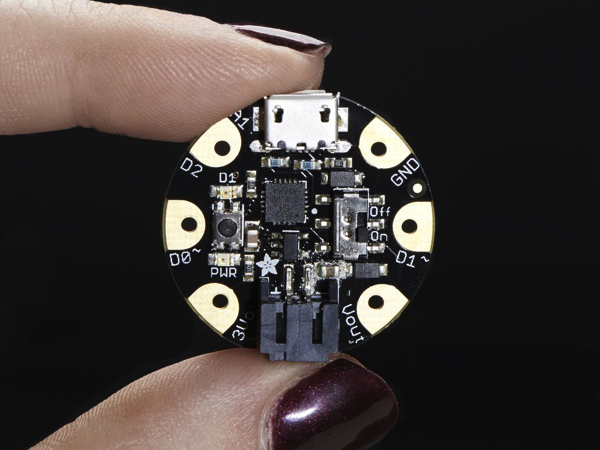 Nice Halloween project from cwells97 on the Adafruit forums! Check out more here. I found a cheap Halloween mask when I was shopping at Kroger. I thought it looked cool, but things are always better with NeoPixels. 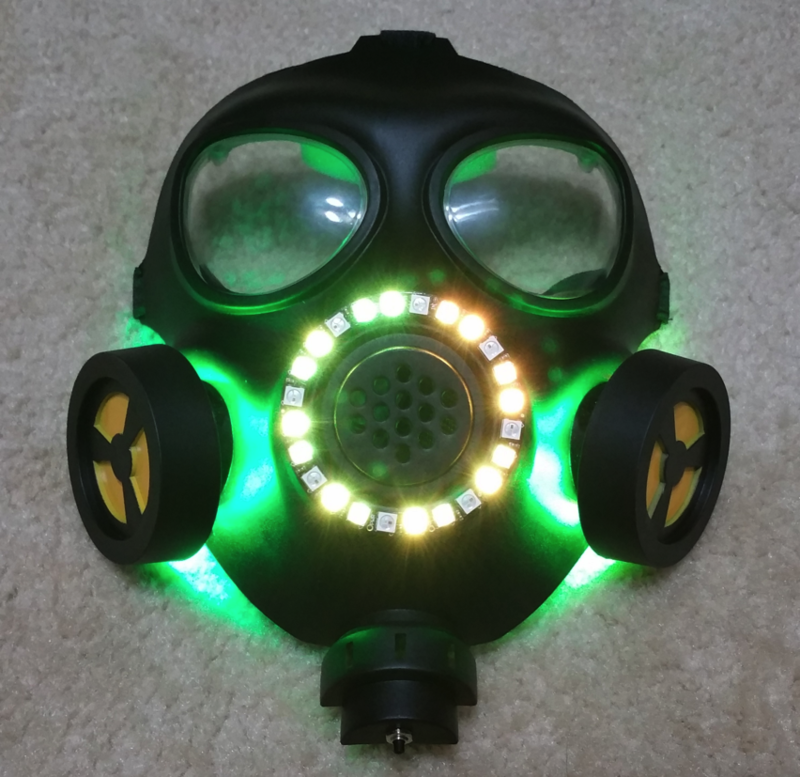 I bought the mask and starting taking measurements to see which NeoPixel rings would best fit into my design. 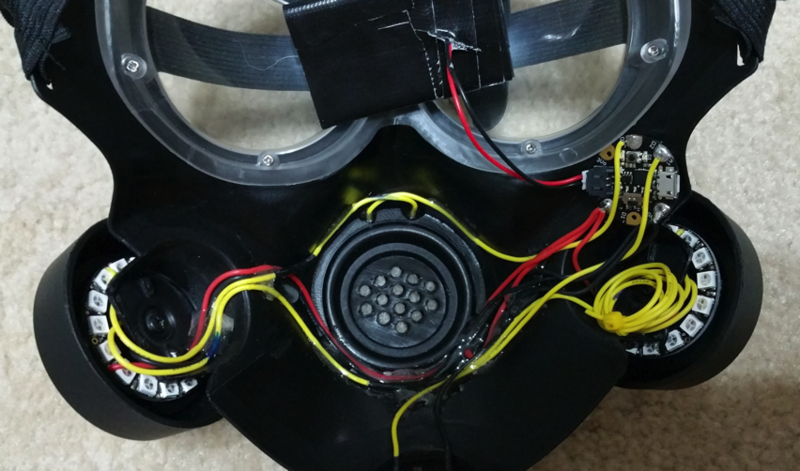 I ended up using two of the 16 count rings in the side filters and one 24 count ring which fit perfectly onto the front of the mask. I wanted to give some direct view of the NeoPixels with the larger ring and use the smaller ones facing backwards to create a side glow on the wearers head. A gemma was used for the controller, which was nice and small since I did not want any of the circuit to actually sit on my face. Epoxy was used to hold the wires in place. I also added a button on the bottom of the mask so that the animation could be changed on the fly. I am currently running just some of the test animation code, but plan to write my own blend of color animations before Halloween. 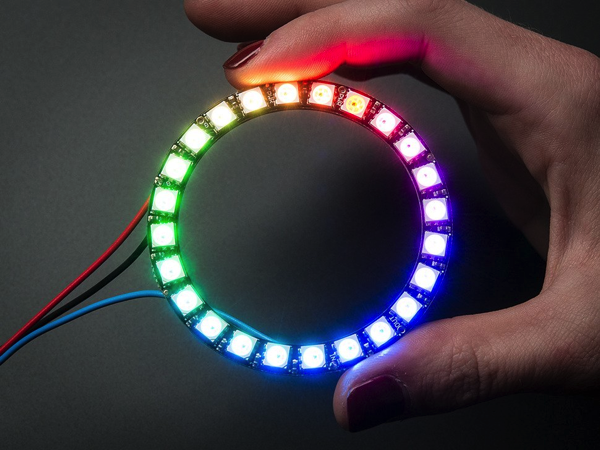 I also thought it might be fun to add a microphone so the animation on the forward facing NeoPixel ring would react to my voice. I have had a lot of fun trying to blend the existing mask with the electronics without making them obviously added. I could have cut down on some wires on the back by daisy chaining the power and grounds, but thought it best to do it this way to keep any power fade to a minimum. I did daisy the signal wire so the animations would work and left a pig tail from the last ring in case I wanted to add any more. Thank you all for your work making these types of projects more accessible to everyone.